I have never been busier because for the first time since I joined the workforce, work takes centrestage during this festive period and will keep me occupied throughout the entire Chinese New Year duration. Nonetheless, I managed to squeeze in some time for reunion dinners with my parents and in-laws, and even had sufficient time to visit all my relatives during the first day of Chinese New Year. Unfortunately, my hectic schedule has taken a toll on my health and the tissue box has since become my best friend. I'm keeping my fingers crossed that I'll recover soon because as ironic as it sounds, there's no way my body can rest till Chinese New Year is over! 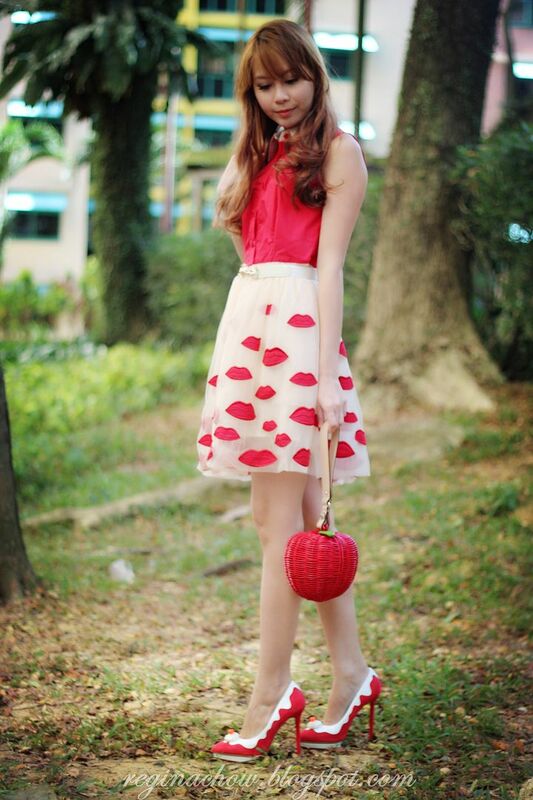 In the midst of work today, I thought I'll share my Chinese New Year outfit for yesterday's visiting. I bought this adorable dress some time back but never found the opportunity to wear it out. And if you follow me on instagram (@reginachow_sg), you may have spotted these Charlotte Olympia heels a couple of weeks back. They have been on my wish list for eons and I was immediately sold when I chanced upon them at On Pedder earlier this month. Aren't they cute? However, it was the apple bag from Kate Spade that completely stole the limelight. 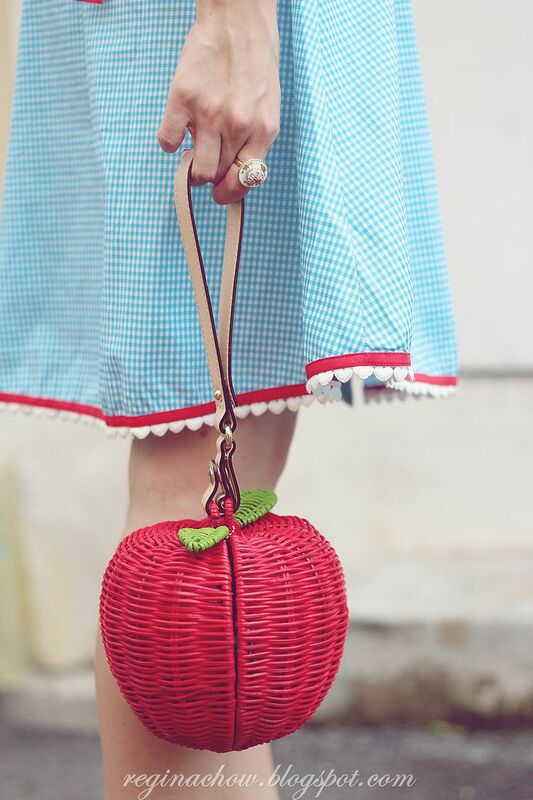 The apple bag was an instant conversation starter as adults and children alike couldn't keep their hands off it. I don't blame them though, because it is just way too cute! Kate Spade always has the most whimsical accessories to complete any outfit. I think it doesn't take much to guess that the shoes and bag are currently my wardrobe favourites. Here's a different take on them, where I veered away from the airy fairy style and went for something a little more retro.